The 2014 Red Bull Air Race World Championship has come to a close. We’ve had a chance to catch our breath, and now we’re looking back at an incredible season of the world’s fastest motorsport. The first race, above the blue waters of Abu Dhabi, set the narrative for the entire season. Paul Bonhomme of Great Britain and Hannes Arch of Austria battled it out to the finish, with less than 0.3 seconds separating their final times. Of the three pilots who dominated the 2014 season, only Britain’s Nigel Lamb failed to make the Final 4 in Abu Dhabi. It was Lamb, however, who went on to win the 2014 World Championship. Consistency was Lamb’s secret to victory. Though his only first place finish came in Putrajaya, Malaysia, Lamb captured second place (and valuable championship points) in five of the eight competitions. He edged out Bonhomme and Arch, who each placed first in two races, by delivering reliably high scores throughout the entire season. The drama of the championship chase should have peaked in Las Vegas, when Arch, Lamb and Bonhomme were separated by only a single point, but high winds caused the race to be cancelled. Points were awarded based on qualifying times, giving Lamb the edge as the races headed to the final competition in Spielberg, Austria. Despite the fact that Lamb held the points lead, Austrians held out hope that their hometown favorite, Arch, would pull off an upset. Arch finished the race strong, but a two second penalty put him behind Lamb, who placed second to capture the title. 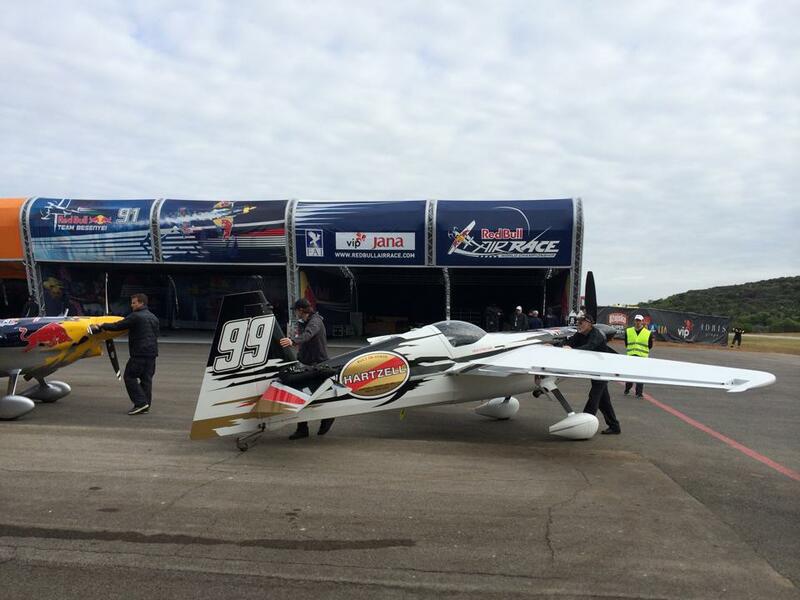 The Hartzell team was proud to partner with Red Bull as the exclusive provider of propellers for the 2014 Air Race World Championship. Watching The Claw, our advanced composite aerobatic propeller, help the world’s greatest pilots push the limits of aviation was a great honor. Thanks to the pilots, fans and hundreds of men and women behind the scenes who made the 2014 Red Bull Air Race World Championship a success. If you want to see more of the season’s highlights, click here to check out Red Bull’s gallery page.